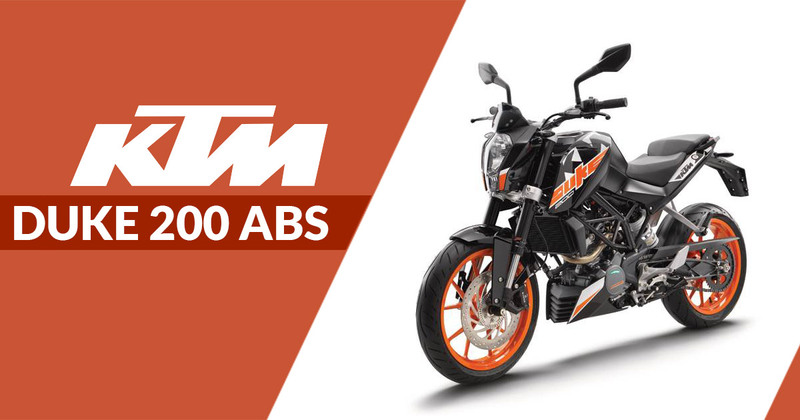 KTM India has introduced the ABS Version of the ongoing Duke 200 model at the asking price of INR 1.6 lakh (ex-showroom, Delhi). Altogether, the non-ABS KTM Duke 200 is also available on sale and will continue till April 2019. The most affordable Duke in Indian lineup has not got the ABS system sourced from Bosch. Actually, it is a single channel ABS unit that works only on the front wheel with armed disc brake to end up the risk of skidding and wheel locking during harsh braking. Other than the addition of the ABS system, the motorcycle did not witness any sort of other changes not only at cosmetic but also at mechanical front. Apparently, the KTM India continues to offer three colour options including orange, white and black of the non-ABS variant. 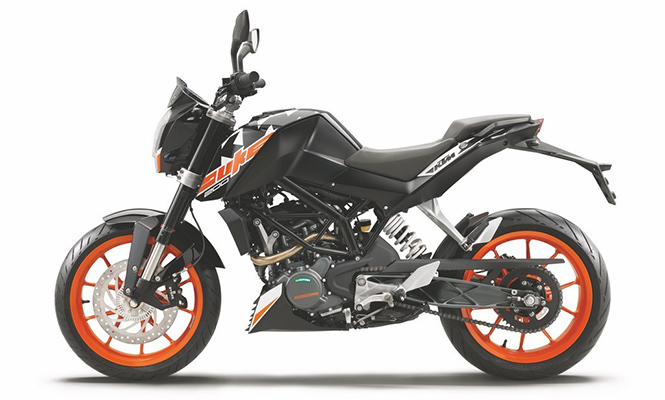 One can opt this bestseller Duke model from any of the 450 KTM dealerships across the country. Based on a trellis-frame chassis, the KTM Duke 200 ABS suspend over a 43mm USD fork and a monoshock. While under the fuel tank, the bike uses a 199.5cc, single-cylinder, liquid-cooled motor with a four-valve head to power the motorcycle. Mated to a six-speed gearbox, the motor propels out the maximum power of 25hp.